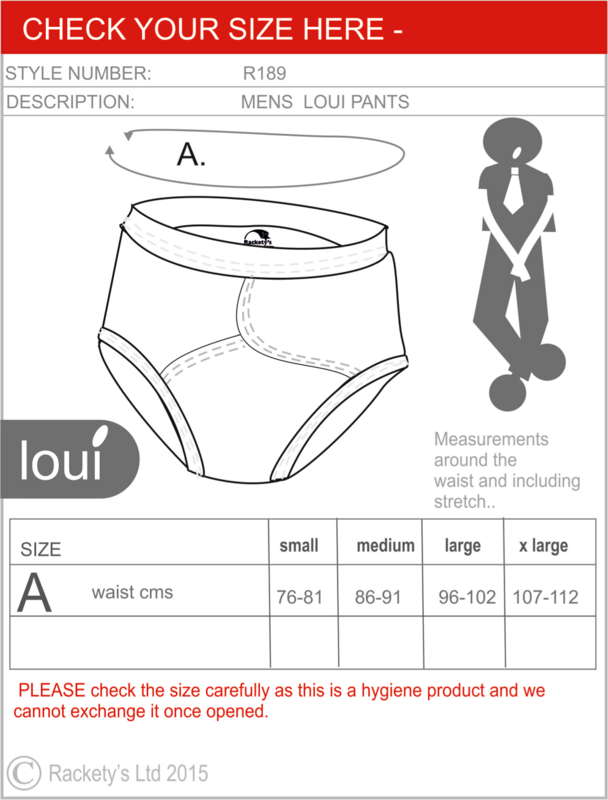 R181 Mens Loui reusable briefs. Soft cotton pullup briefs with a neat absorbent super soaking pad in the front panel. The briefs are made to help men who may have toileting accidents with a built in washable pad and a waterproof backing for additional security. No need for disposable inserts as they already come with a super absorbent pad. Just wash and re-use as often as you need to. Super absorbent sewn in pad. Holds up to 5 tablespoons of wee. You or carers manage incontinence. Highly absorbent stitched in pad will contain up to 5 tablespoons of liquid.